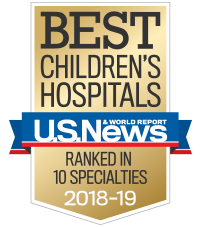 Children’s Healthcare of Atlanta knows there’s more to treating a child than just superior healthcare. We know it’s about providing treatment for the whole child, which means enhancing a child’s quality of life while in our care. We also understand that a child’s life is centered around his family, so a crucial element of recovery is family involvement. That’s why we offer a variety of special programs and events designed to involve the entire family in a child’s health.